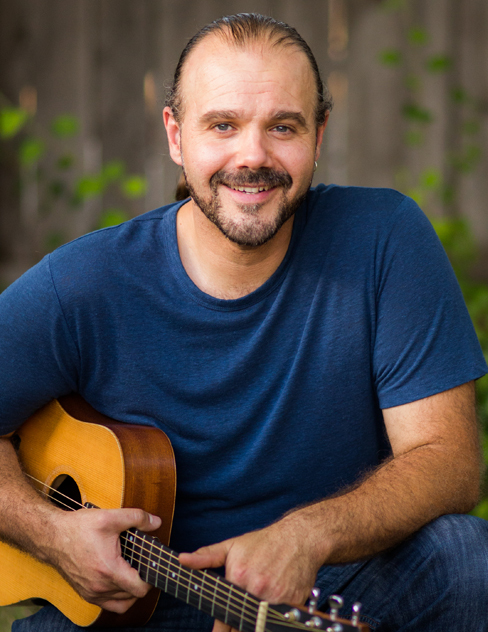 Ian Wilkerson, MT-BC, is a Board Certified Music Therapist and the founder of Bay Area Music Therapy LLC. He has refined his musical skills through years of extensive study and performance. A person-centered therapy provider, he specializes in supporting creativity, self-expression and self-empowerment. Ian received a Bachelors of Music with dual majors in Music Therapy and Songwriting from Berklee College of Music in Boston, MA. Before graduating with honors, he sat as President of the Board for the New England Region Music Therapy Association for Students. In addition, he worked as a therapist while completing a series of five practica and an extensive internship at the Community Music Center of Boston. He is a member of the American Music Therapy Association (AMTA), and he is also certified as a REMO HealthRHYTHMS Facilitator. Originally from the San Francisco Bay Area, Ian grew up in Santa Rosa. He is a singer/songwriter and guitar player, recording and performing original compositions. His music can heard at http://www.ianfranklinmusic.com. Being the son of a Reichian therapist, and coming from a family of healers, he works from a holistic perspective and integrates breath-work into his music therapy sessions when appropriate. Furthermore, he specialize in helping people find their own unique and empowered voices through improvisation and songwriting. Ian facilitates one-on-one songwriting sessions as well as group sessions. His principle instruments are guitar and voice, however, he also integrate bass guitar, piano, drums and other instruments into much of his work. He provides both music therapy and instruction to all individuals with a focus on abilities and client preference to meet the individuals needs. Additionally, Ian received training in Neurologic Music Therapy (NMT) from The Center for Biomedical Research in Music (CBRM) at Colorado State University in Fort Collins, CO.
Ian Wilkerson has a broad spectrum of experiences within his professional life, including work in the following fields: Wellness, Neuro-Rehabilitation, Psychiatric, Pediatric, Special Needs and Skilled Nursing/Hospice.